Has anyone heard of, seen , or used these ? ( link below ) I never put a curb rash on any of my cars wheels but I hand both the Maserati and my Porsche over to hotel , or restaurant , or parking garage valets enough to worry about them scraping the wheels . I realize they’re liable if they do that but the hassle getting stuff repaired is not worth it . Happened once with one of my cars, while I was out of town with it , and the drama of getting fixed was infuriating, to say the least . 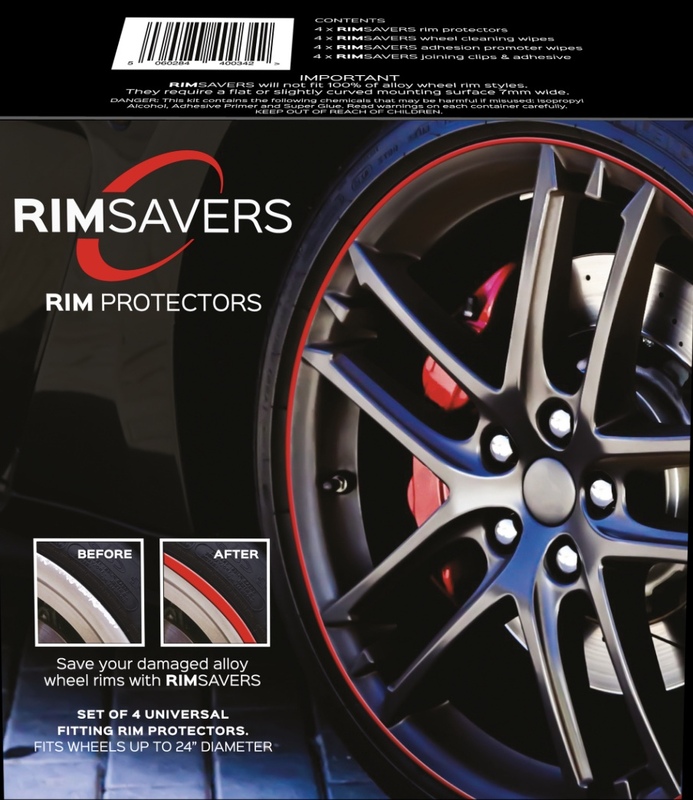 Well, they look silly to me, and they won't succeed at protecting the wheel from curb contact in many cases. The only thing it will save is if you just brush gently up against a curb with the lip of the wheel, which a lot of tires protect you from anyway. I have seen most curb rash affects the wheel faces, like the spokes etc. which will contact deep curbs easily. Most of the damage to my wheels comes from tire shops banging them with their wrenches and tools or letting them fall onto their face (always a fun one). @Jason - ha, I was also thinking this is not all that far down the “tacky” scale from those 70s or 80s era curb feelers , but for the short drive to and from those places where I give the car to the valet , many of which will be when it’s dark out anyway, who is going to judge..? Maybe some matching color fuzzy dice hanging from the rear view mirror will be matching touch . Also not sure if the colors are really as bright as the photo shows them to be or that’s mostly for the effect of advertising, maybe they’re just a bit more muted ( hopefully ) But I have not read how they’re affixed on the wheel, and if it’s really an easy on / off / on again repeatable application, for an unlimited amount of times . If it’s more “ permanent “ , forget it . @Sean - looking at the photo it does look as if the tire protrudes out substantially more than the rim and that protector won’t do much at all, but my Michelin pilot sport 4 S tires are almost flush with the wheel, there is hardly any lip there to help. I remember some brands ( I think Continental , Goodyear and Yokohama ) did make tires at one point with a lip big enough to offer curb rash protection, but don’t know if that’s the case anymore . So even if it’s a little maybe it could help. Interestingly, I have not seen curb rashes on wheel faces and spokes, most I noticed have been right on the very top of the wheel rim’s edge where the tire lip should protect you, but like I said, depends on the tire ..
@Aaron - right you are, of all the wheels they could have picked for the box advert ..almost looks like a OE option Maserati might have had for those who want even more attention than the car by itself brings Hey, and for those who have CF trim on their MCs, they might even make a carbon fiber style instead of all those colorful choices . Last edited by DSGT; 03-31-2019 at 07:50 AM. that never looked good. They started to come off and when they do you are left with a gluey mess that is a PITA to remove. Thanks for the info . For the brief use I intended I could have lived with the small gap, but no way am I putting up with a gluey mess . So much for that idea, back to plan B which might be to lecture valets before they get the key . Many years ago a restaurant valet put a curb rash on one of my Porsches in Southern California , and I did not notice until I got home which is 400 + miles away in Northern California . Learned my lesson and now I walk around the car and inspect everything before I drive away . It won’t prevent things from happening but I’ll be able to deal with it there and then if it does. Maybe if you got wider tires put on, they would stick out a bit more and be more protective of the wheel lip. I find that Maserati factory tire sizes are like a couple sizes two small for the wheels for some reason. Hmm, now there’s a good thought ..I’ll look into that when my tires are due for a change . The bonus is also that it will fill the wheel well better and make the stance a bit more aggressive, without using spacers. Definitely a consideration for my next tires. Will have to go under size up in the fronts also. the stradale comes with 255/295 instead of 245/285 on the same wheel. I've run them, and am right now, but they do wierd things with tramlining. that said, my suspension is all messed up, so you'll probably be fine. I have had zero issues with the 295 on the rear! 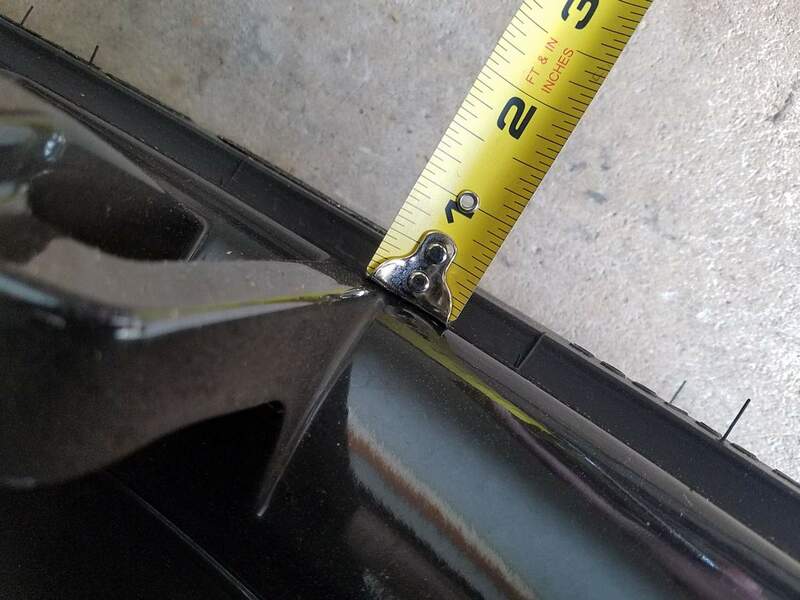 There’s a whole bunch of things that affect tramlining ..tire tread design ( most ultra high performance tires have a propensity for that) tire width for sure, but even the degree of sidewall stiffnes, or both the camber and toe setting on your alignment can contribute, so too many things to factor in. One bigger size up might make a difference depending on the tire , but not sure by itself it will make all the difference . The front tires are generally the ones that do the “ hunting “ , but if I go larger on the rears and not the fronts also, the appearance might be too stark, I don’t want my GTs to look like an Aston Martin One-77. I’d like it to have the market value of that car , just not look like it ..